A large “Haboob” or a “monster dust storm” hit SunBird Thursday, August 2, at about 6:00 p.m. It was the second-largest dust storm in the valley in over 45 years, second to the one in July of 2011 that was absolutely incredible. The storm brought in high wind gusts with an extremely large cloud of dirt that made visibility limited and breathing very difficult. In SunBird, no rain was part of this huge dust storm which is typically the pattern of these types of storms. No serious damage to SunBird, just dirt, debris and some broken trees. During the month of August, SunBird has had some spectacular lightning and thunder storms that have poured heavy rains in a short period of time. Forecasters predict that Arizona should have eight to ten of these this summer, due to the lack of rain and hot weather. The clubhouse room addition and balcony extension project are progressing well. The 36,000 pounds of steel have been lifted and secured in place and passing inspections. The new concrete flooring has been poured. The finishing work is taking place with utilities, windows, doors, sheet rock, hand rails and much more. It is projected that this project will be complete sometime in October. This new room addition will be a much-needed improvement to help with the growing demands for space at the clubhouse. Again, we appreciate all who have endured the inconvenience of parking, noise and detours at the clubhouse. We are in the home stretch! The elevator at the clubhouse is over 30 years old and was in need of operational updating. The elevator is currently operating. However, over the past few months, we have had many elevator service calls for repairs. The circuitry board and operators are wearing out and are outdated. For access, safety and reliability reasons, we have contracted to replace and update the operational components of the elevator, including the hydraulic pump unit, starter, control system, cable and hoist wiring. 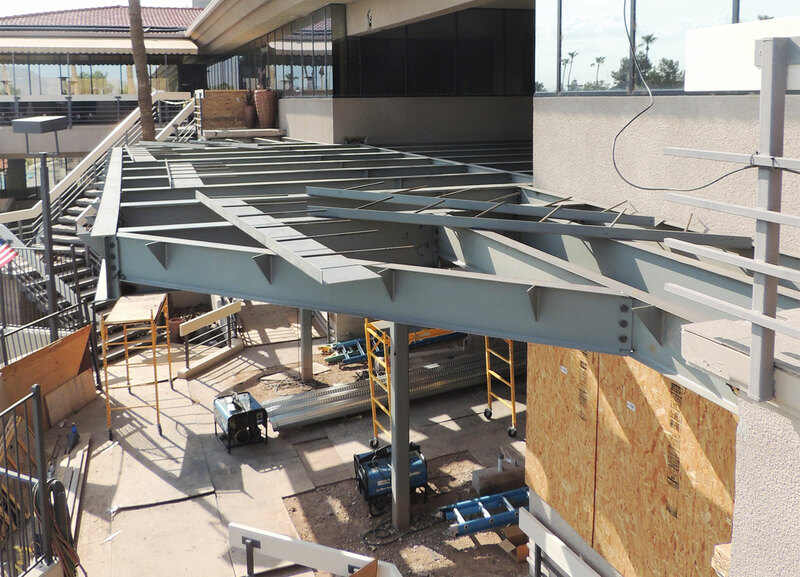 With this work, the elevator is also required to be updated to new current fire and safety codes by the Industrial Commission of the Arizona Elevator Safety Division. The elevator contractor reported that it will take approximately six to eight weeks to have the work permits and new equipment ready. Once received and ready for installation, the elevator will be closed from service for approximately two weeks. When the work is approved and scheduled by the contractor, notices of the time schedule will be posted. Other summer projects are moving along. The six old billiard tables have been replaced with brand-new, beautiful Diamond brand tables. The maintenance yard now has a shade covering that has been installed to protect the landscape equipment and materials from the sun. Common area landscape irrigation replacement project includes installing 17,500 linear feet of PVC lines, 2,500 emitters, 36 new valves and seven irrigation controller clocks. This is the first phase of the multi-year replacement/update project. Routine road maintenance work is being scheduled for September in SunBird Units 3A and Unit 4. 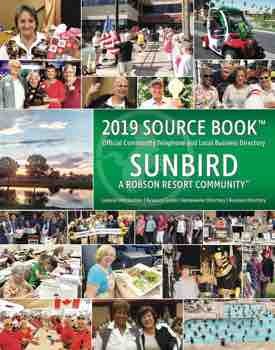 Notices will be delivered to the homes directly affected by this work, notices posted in the clubhouse, SunBird website and an email blast will be sent out to SunBird. Some road repair will be scheduled in some other areas of SunBird with little inconvenience. The fitness room will have a small makeover to update the look and bring it into new ADA compliance. The treadmills will need to be moved to allow adequate required space for any potential accidents. Some of the mirrors will be removed and additional televisions installed for more viewing options. The room will be painted with fresh new vibrant colors to update the look. A dedicated Wi-Fi router will be installed to allow the option of those who use cell phones or tablets while exercising. Two new treadmills, two cable functional training machines, an additional Nu-Step trainer, leg press/calf machine, abdominal crunch machine, back extension, an AMT cross trainer machine, set of barbells and other new exercise equipment have been ordered for the fitness room. This will add additional options for exercising and allow more users of this facility. SunBird is planning a “911” or Patriot Day Tribute on September 11. A parade with active-duty emergency responders, retired emergency responders, City of Chandler Mayor Jay Tibshraeny and the Basha High School marching band will participate. The parade is planned to begin in SunBird at the bocce ball courts and continuing on Championship Drive, then north to Waterview Drive and ending at the clubhouse. In the ballroom, we will have a short service honoring and remembering our many first responders. We have planned for this to be a memorable tribute and hope you will join us in this awesome event. SunBird is a great place because of the people and may volunteers. Thank you for your continued work and friendliness.